My skincare regime has been somewhat lacking over the past year or so, partly due to lack of time but mainly due to a hefty case of can’t be arsed. Now that things are becoming a little less hectic and I feel I’m finally rejoining the realms of reality I’m determined to sort my mush out. This at least distracts me from dealing with any issues from the neck down for now anyway. My skin is generally quite dehydrated and dry, it always gets quite flaky come central heating season so it’s a perfect time to give it some much needed TLC. 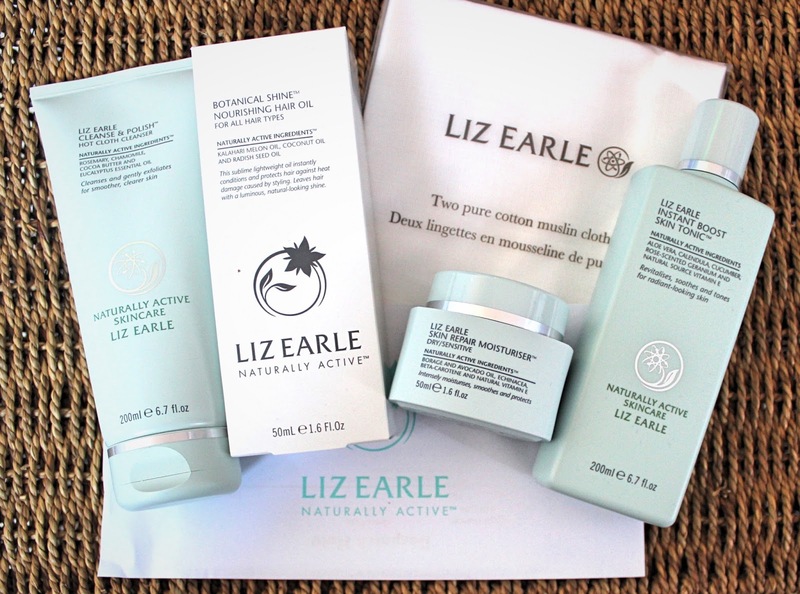 I’ve been using some Liz Earle products to get back into the swing of things, here’s what I make of them. I used this a lot before I was pregnant and somehow never got around to repurchasing. It’s a really lovely, creamy cleanser with a very fresh and distinctive scent that I love. It definitely gets shot of 95% percent of my makeup very easily, I have to give my eyes an extra going over to get the last of my mascara off but I’ve always done that with any non harsh cleanser that I’ve used. I’m always wary when using products near my eyes, on the odd occasion that I’ve been clumsy with it it’s not stung at all, unlike some other cleansers which have had my trying to claw my eyeballs out. The cloth that comes with the cleanser is soft and quite fine so I don’t feel like I’m scrubbing too hard at my face when taking the cleanser off. My skin always feels instantly smoother and fresher after using this product. Also, unlike some other products I’ve tried it doesn’t loose any affect if I continue to use it for long periods of time. I have to admit I’ve never really bothered much with toners in the past. Having said that I am really enjoying using this one. It makes my face feel squeaky clean and is fresh and cool across the skin before moisturising. The lid of the bottle does not come off, you simply twist it to open and close. I love this design as it stops me spilling or using more than I need to each time, genius. This definitely feels like the fancy, treat part of my regime. Unlike other moisturisers for dry skin this isn’t in the slightest bit greasy or gloopy. It has the consistency and feel on the skin of a much lighter moisturiser but does the job of a fairly heavy duty one, perfect. 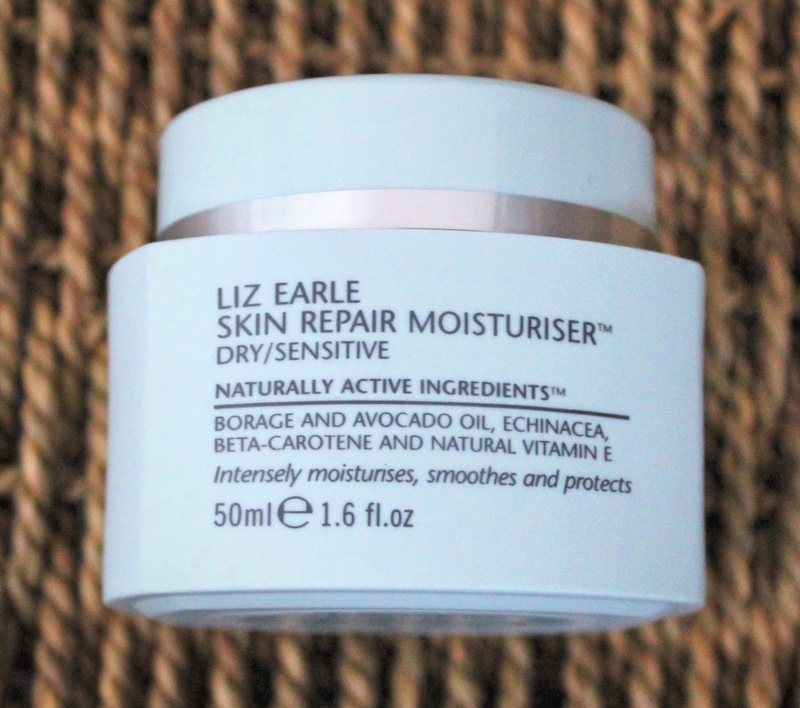 This is a great moisturiser for this time of year as the weather changes. As with all of the Liz Earle range I love the scent, it’s much more subtle than that of the cleanser but has that similar distinctive smell. 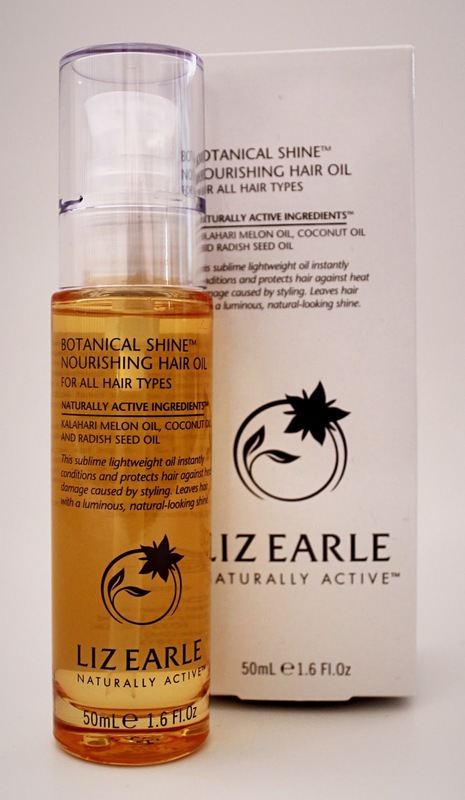 I’ve never really ventured into the world of hair oils before as I had made the assumption that they would make me very fine hair flat and greasy looking. I was wrong, I absolutely love this product. It soaks in and disappears very quickly and from the first use made my rats tail ends look and feel 100% healthier. I have mid / long length hair and I only need a pump or two so I reckon this will last me a good while. It doesn’t weigh my hair down whatsoever and it smells great, I never go without it now.